A little difficult to understand what exactly I was supposed to do. 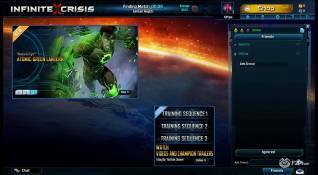 We took a look at the DC Comics themed MOBA Infinite Crisis, developed by Turbine, where players get to step into the shoes of a huge selection of heroes and villains from the DC Multiverse and battle against each other in team based combat in typical MOBA fashion. We didn’t know too much about the game before stepping in to take our first look at it, however we’d heard good things and so were extremely optimistic. 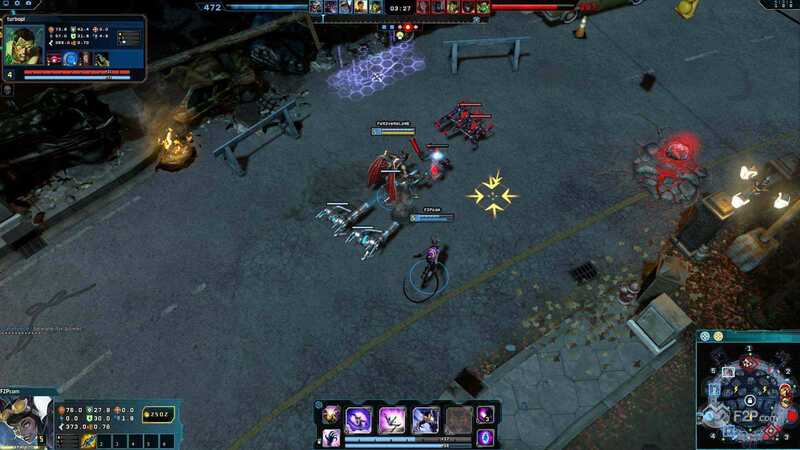 Not a big MOBA player myself I was interested to see how it suited a casual MOBA player and where the appeal may lie for the more seasoned veteran. 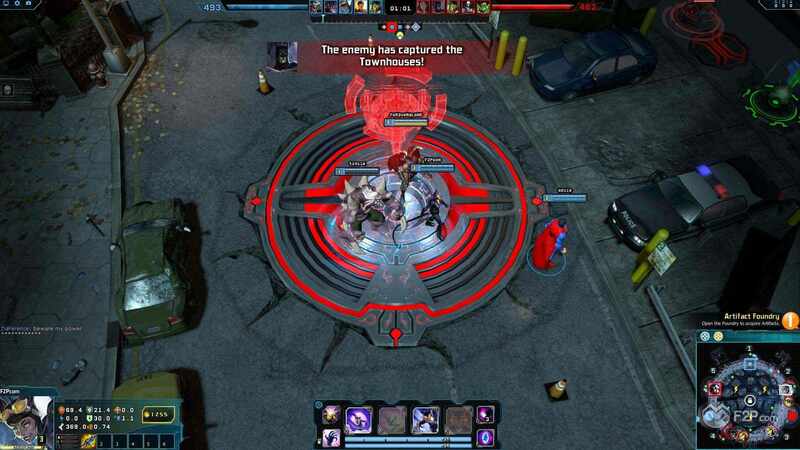 Where many MOBAs have stuck with their classic “lane” type battles, Infinite Crisis tries to offer something a little different with their maps and game play modes, though still coming equipped with tower defences and waves of minions to battle through Turbine have realised that there is little point in reinventing the wheel and so will try to bring something new. 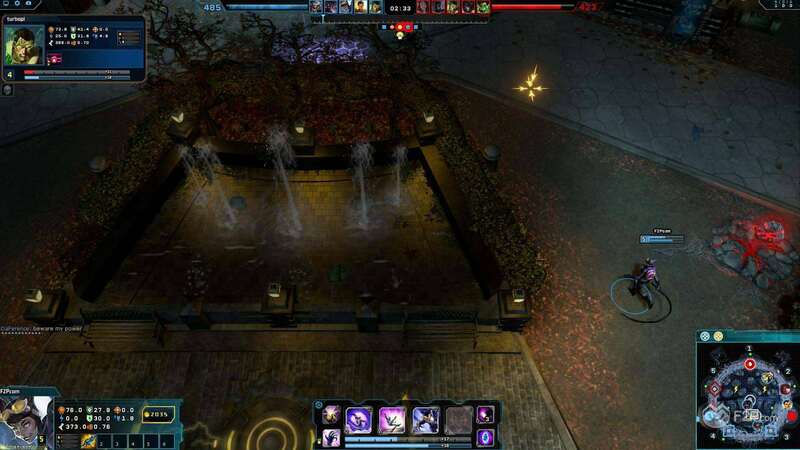 Some of the maps are very different and offer their own map features that can truly change the playing field, forcing players to consider these ultimate objectives as something to either accomplish themselves or a least ensure their opponents can’t. 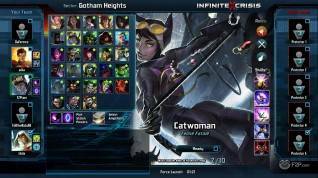 In the game that we played we jumped into the “Gotham Heights” map, a classic point capturing system where the two teams battle over neutral points and increase their score the longer they own them. 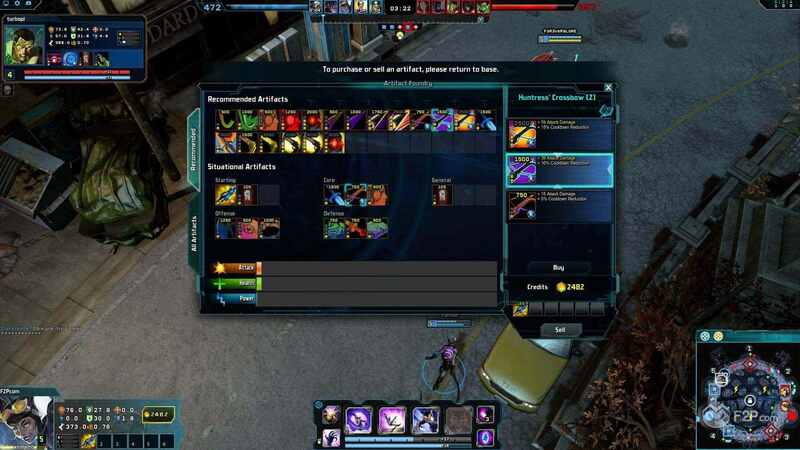 Throughout this particular map players can come across health packs (but don’t necessarily appear on all the maps) and speed boosts, however main feature that stands at the centre of the map was the “Orbital Cannon”. 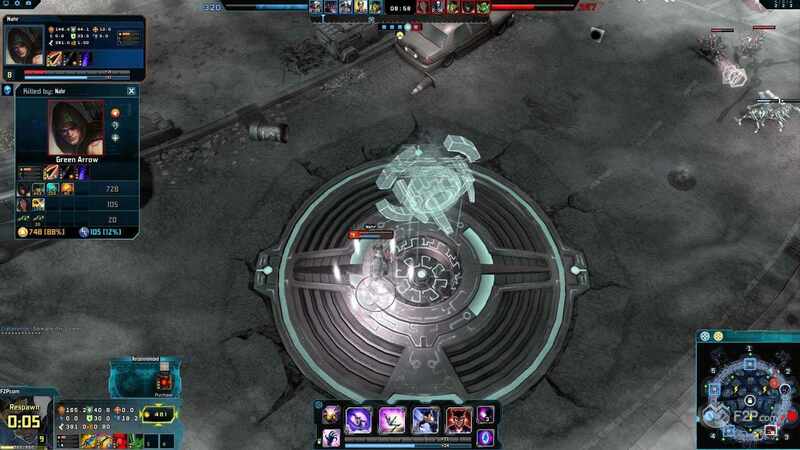 Players are able to control this point which then summons Assault Drones who act as elite mobs to fight off the enemy and also summons down meteors upon the “jungle” area of the map nearest the enemy base reducing their access to their resources. Our team managed to occupy the Orbital Strike a few times, though as a first timer I honestly have no idea how we managed to get it or at what point it became accessible. 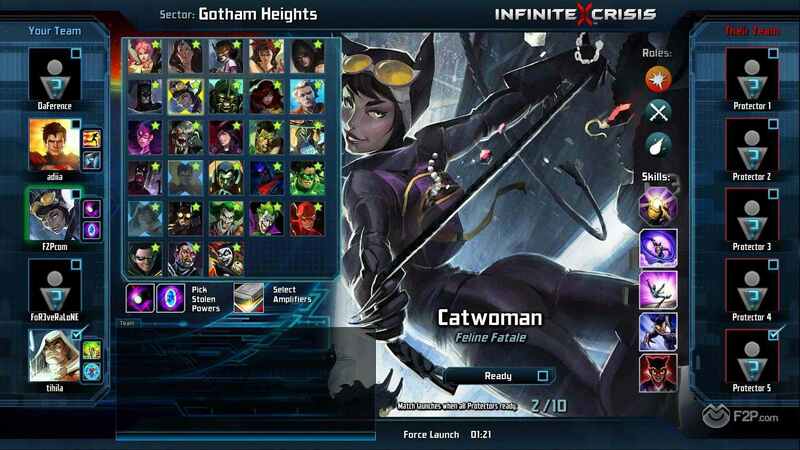 Players are able to choose from a wide selection of DC Multiverse heroes, what this means is that they are using the full IP for the DC franchise and so we see not only classic Batman, but Nightmare Batman and Gaslight Batman from the other universes the character has appeared in; each of them offering more than a cool new skin but a completely different style of play. 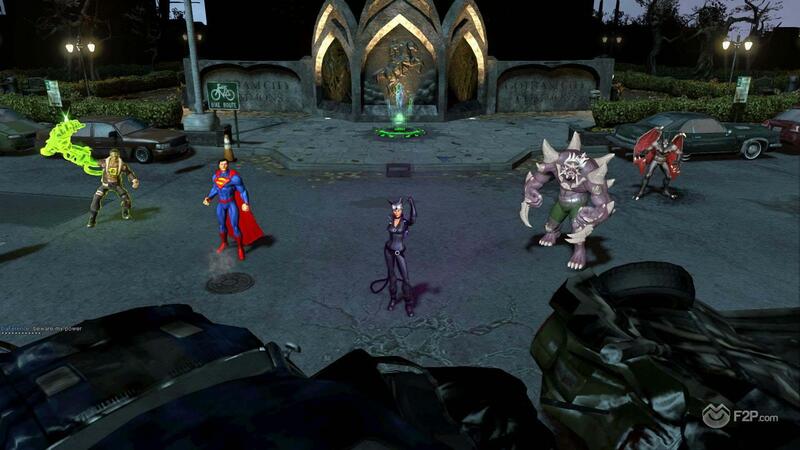 Similar with other characters such as the standard Superman and Wonder Woman as well as their “Mecha” versions. We rolled up with classic Doomsday who was a Melee/Bruiser role, one of the key things to take note of as every Champion has one or more roles that they could fill from Assassin damage dealers to Controllers, Blasters and more, each character also had a balance of Attack, Power and Hybrid as their damage dealing type. 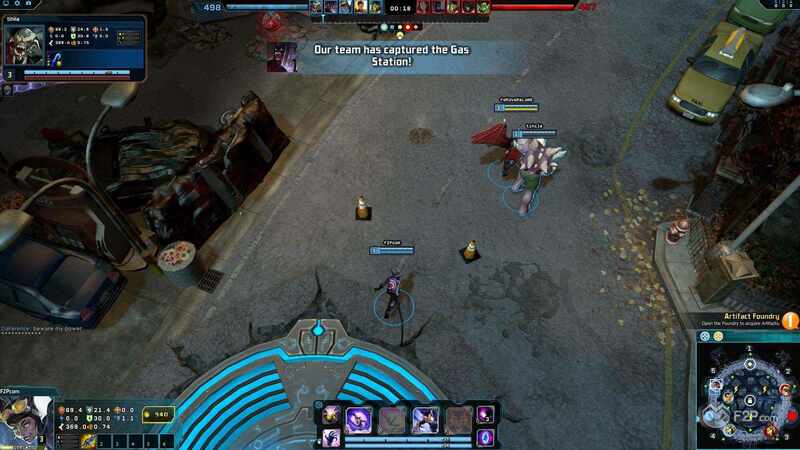 The game itself is pretty fast-paced, albeit for someone that has played many MOBAs it wasn’t the most obvious to me at first at what I was supposed to do or how I could effectively play my class. However even towards the end of the game I was getting more used to the controls and, at least in my opinion, contributing more to the team. 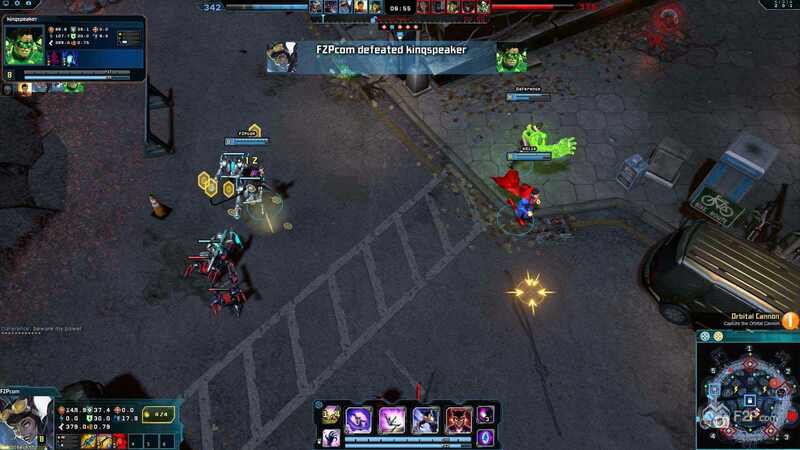 It’s easy to see how much like other MOBAs such as League of Legends players will really be able to master this game, which talents and skills to improve and in which order to have the most optimised gameplay, but still having an interesting dynamic with the different map/game modes.